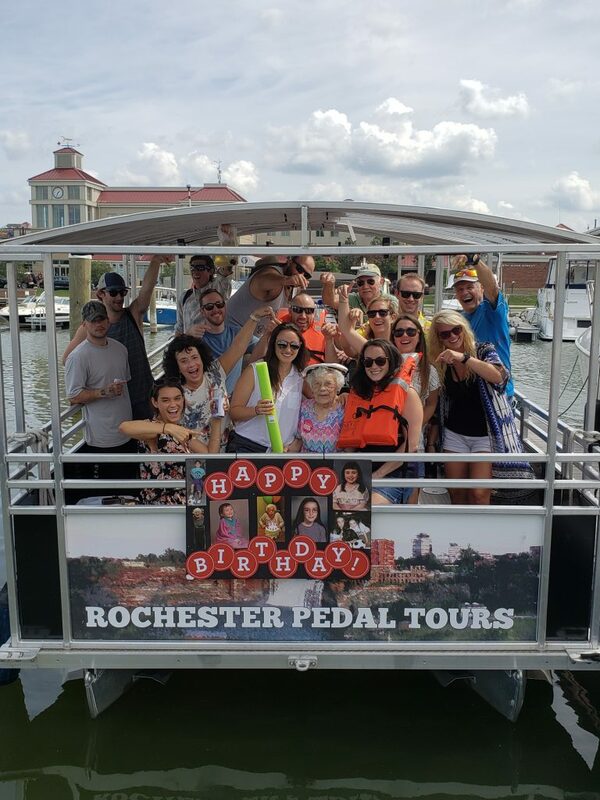 Summer ’18 – Party With Us On Our 18 Person Party Bike! 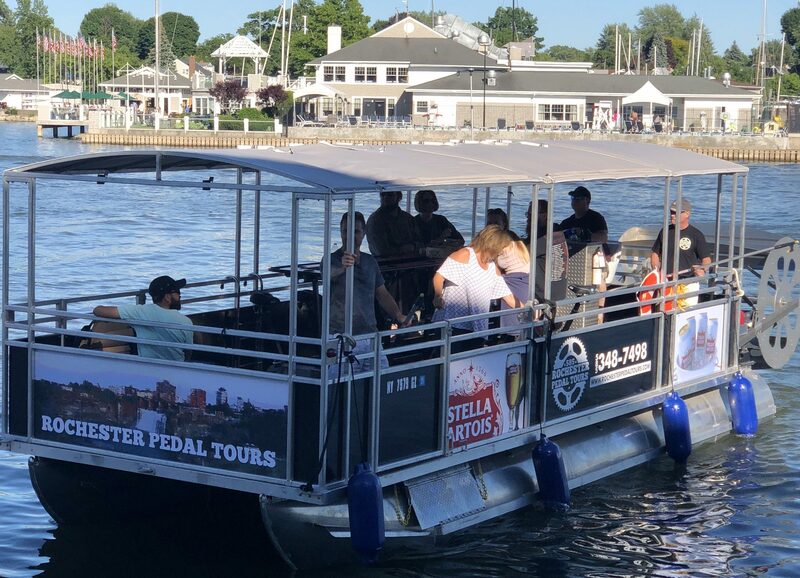 Party with us this summer on our 18 person party bike (the crew is not included in that number) Bring your own cans of beer, wine, cider, sparkling seltzers and mikes hard lemonade type drinks as well as any food and snacks you want to bring and join us for a 90 minute cruise down the Genesse River. The cost is $500 for the weekend, $425 for a weekday, tax is in that number, tip for the crew is not. You divide the cost by the up to 18 people the bike fits, no minimum to the number of people you need on your tour because of the motor. All tours are 90 minutes. 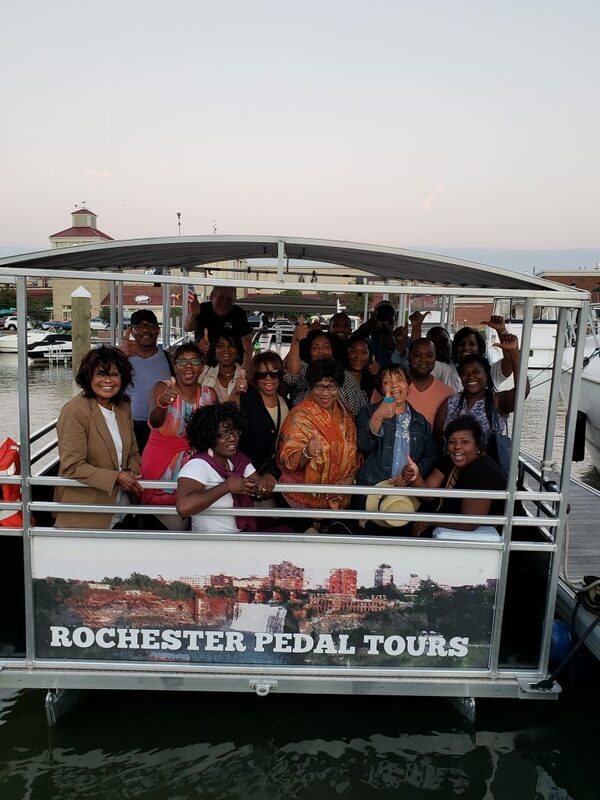 Tours begin and end at the Port of Rochester in Charlotte where you will find a ton of free parking and bars and restaurants to hang out at before and after your tour. Your master captain and first mate will show your group an amazing experience.